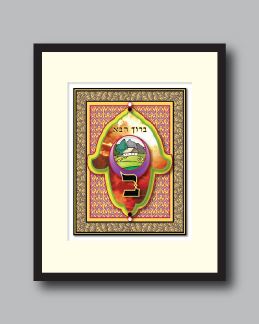 The Chamsa Series :: "Chamsa Bet"
The inspiration for “Chamsa Bet” comes from the multi-dimensional aspects of the letters in the Hebrew alphabet. They are literal, numerical, symbolic and spiritual in nature. This piece is an exploration of the Bet’s many faces. In the Hebrew alphabet the “Bet” holds the value of two and represents the concept of duality. 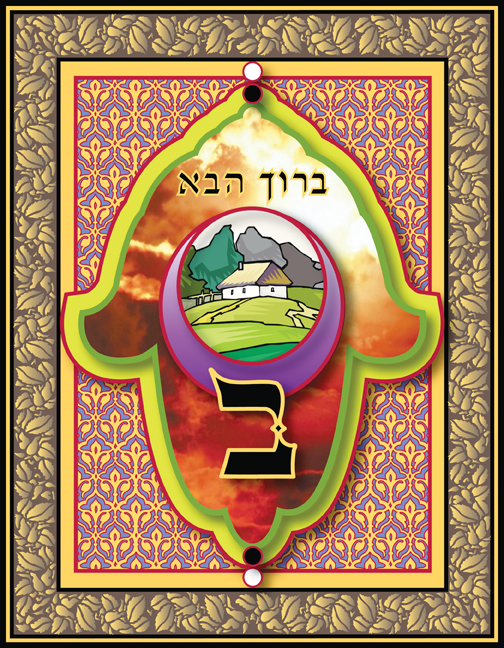 It begins the word “blessing” or “brachah”, and literally means house. 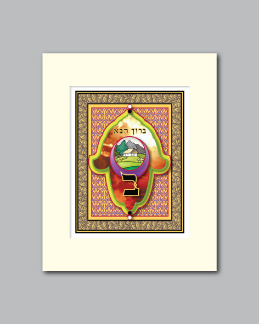 The essence of the letter and the phrase “baruch habah”(ברוך הבא) imbues this art with words of welcome and prayers for blessings over your own home.